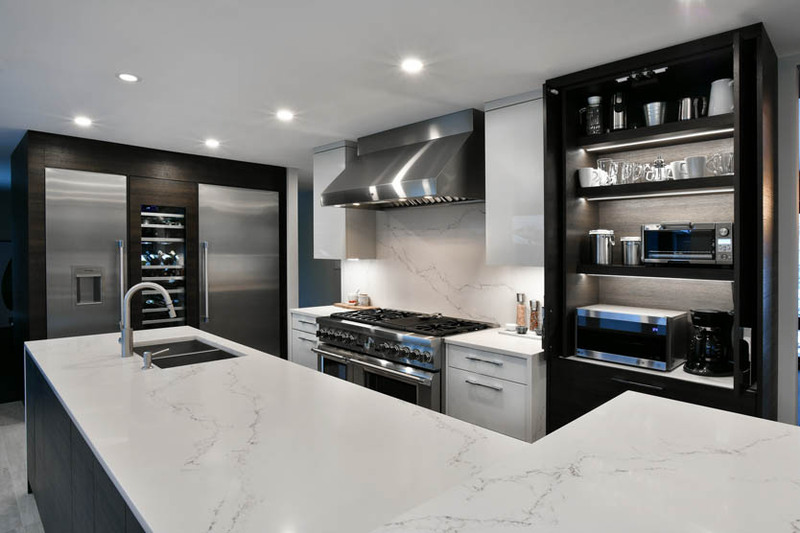 The home’s new kitchen is a chef’s dream, featuring waterfall countertops, a mix of dark and light cabinetry and beautiful display cabinetry that create the impression of an even larger space. 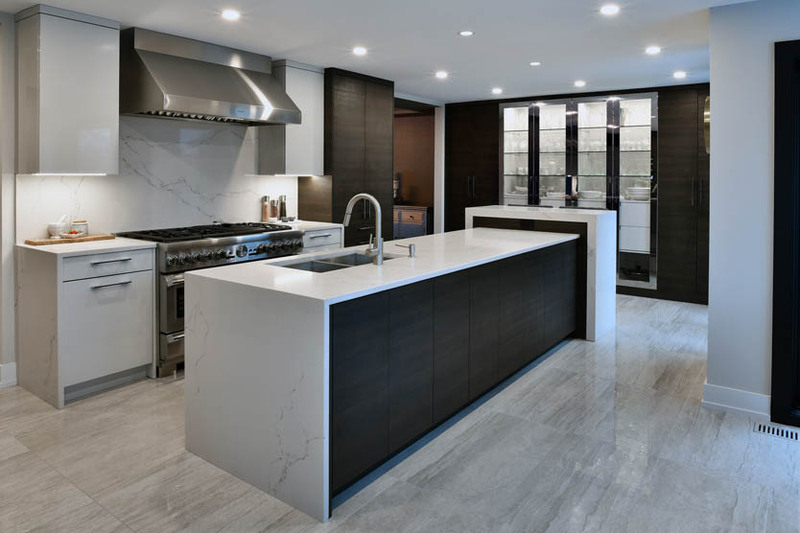 Professional appliances become architectural features in this home’s stunning kitchen. 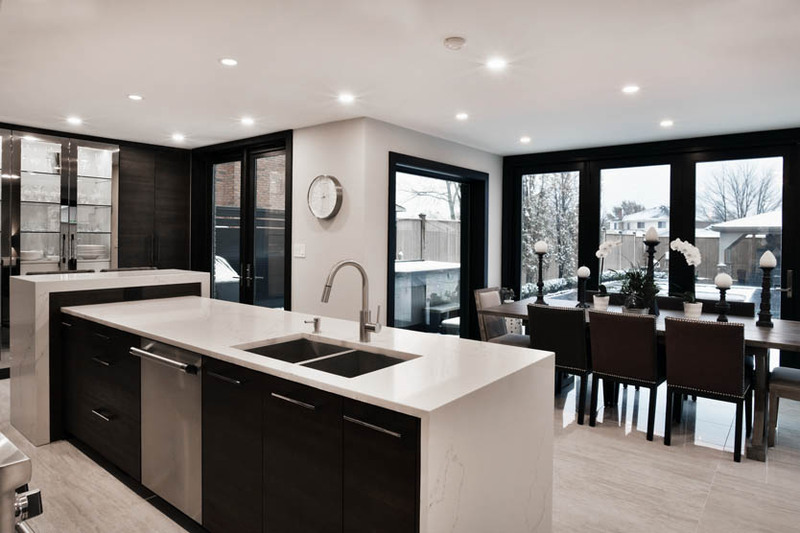 A folding patio door spans 12 feet across the home’s rear bringing abundant natural light into the dining area that adjoins the kitchen. 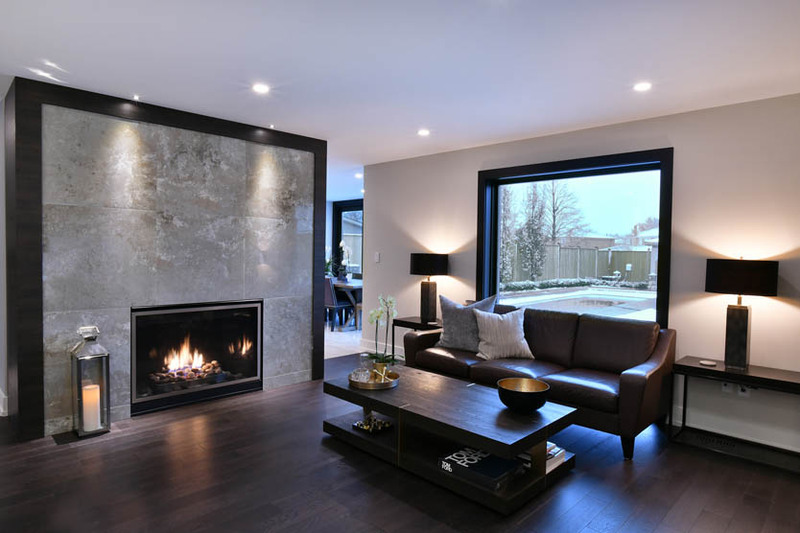 The living room’s fireplace features a floor to ceiling stone façade framed in black to mirror the massive rear-facing window. 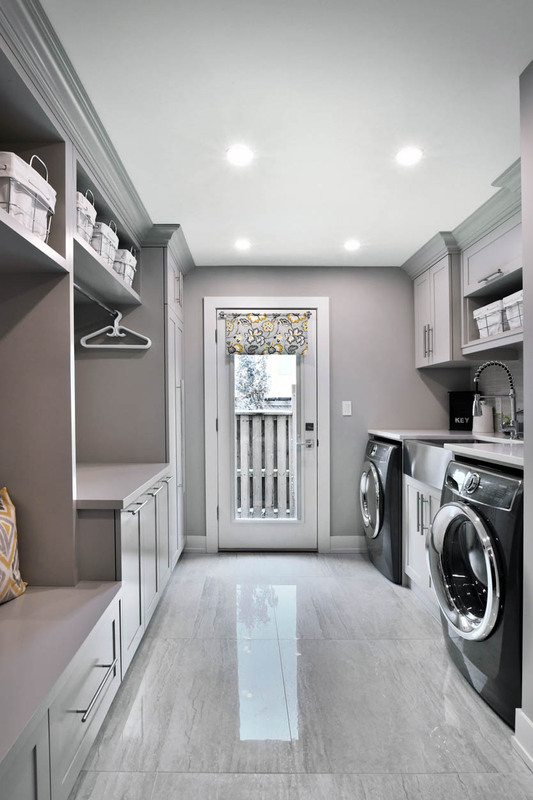 A stylish stainless steel apron sink, elegant flooring and contrasting crown moulding make this well-planned laundry room both beautiful and functional. 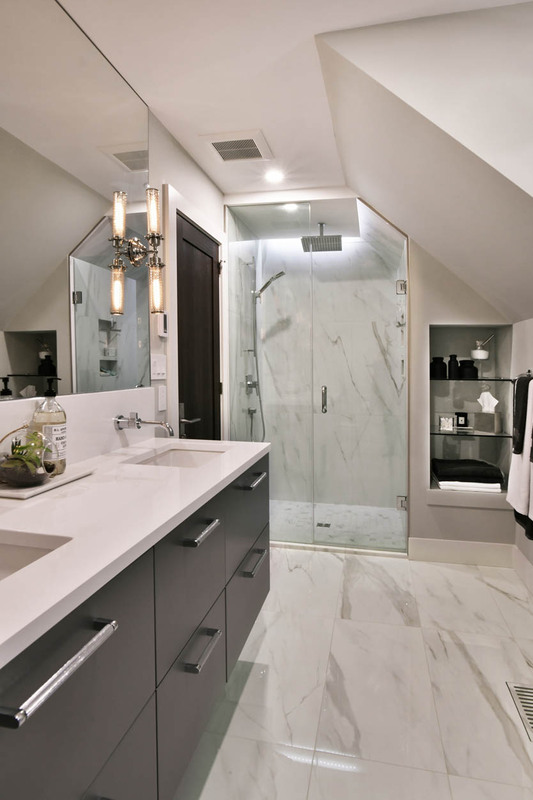 Realigning the home’s spiral staircase allowed for reclaimed space to be put to use in the home’s stunning master suite. 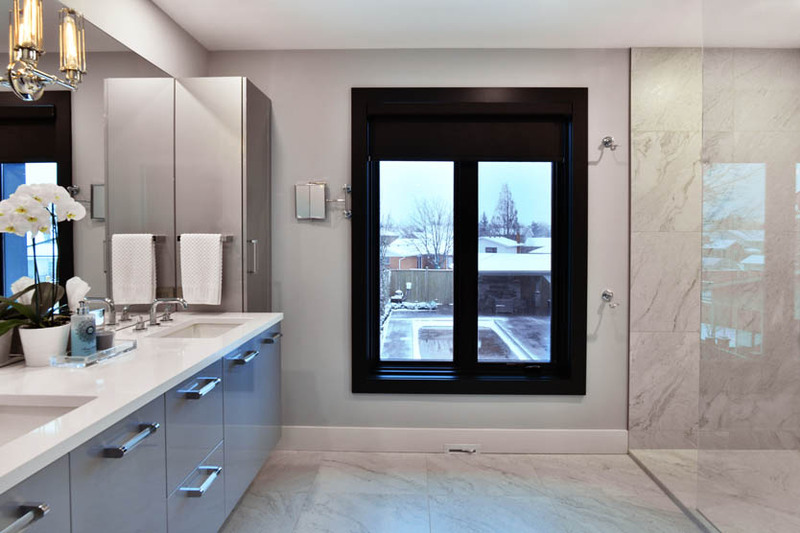 Dual sinks, cove lighting, in-floor heating and a new custom shower transform are featured in a second bathroom.